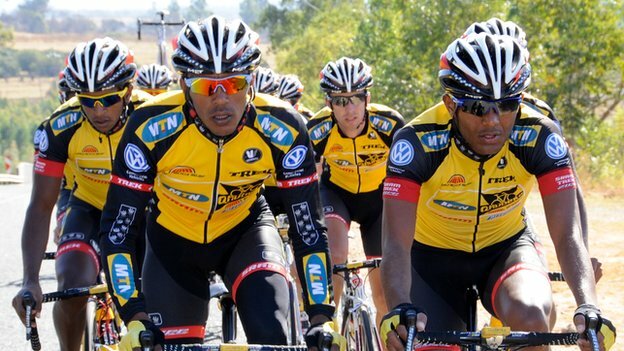 Can Tsgabu Grmay win a first Tour de France for Africa? 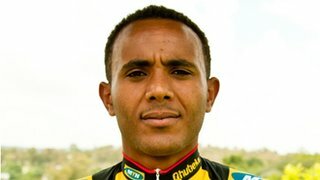 Tsgabu Grmay dreams of becoming the first African winner of the Tour de France and the 21-year-old Ethiopian’s impressive showing at the African Cycling Championships suggests it is far from an impossible dream. Grmay won gold in the under-23 individual time trial in Burkina Faso and also finished second overall in the senior standings. And while he said his silver medal in the seniors came as a major shock, many of his coaches and team managers told me they were not surprised. Grmay is a product of the World Cycling Centre, a body which receives the majority of its funding from the sport’s world governing body, the UCI, and the Olympic movement. Think of it as a training college for riders with the potential to step up to the professional ranks – they’re invited from across the continent to the centre’s African base in Potchefstroom, South Africa. Jean-Pierre van Zyl, a former Olympian, is the centre’s director. Part of what he does is to prepare young riders for life on the European circuit. How African riders adapt to that cultural shift is crucial. While I was in Burkina Faso, I saw Eritrea’s Daniel Teklehaimanot ride and win as temperatures hit 46C – very different from life at the World Cycling Centre in Switzerland where he needed long gloves and leg-warmers in conditions considered “normal” by his European team-mates. Cycling is all about teamwork, and there is now an African team with enough financial backing and ambition to seriously mount a challenge for cycling’s biggest prize. South Africa-based MTN-Qhubeka also has strong links with the World Cycling Centre, creating a route to success for a rider as promising as Grmay. MTN is the commercial sponsor, while Qhubeka is a non-government organisation which provides bicycles for African children in rural communities. African athletes, born and trained at altitude, have dominated middle and long distance running for decades. But why have those conditions not already helped the continent produce cyclists capable of winning the Tour de France? When I spoke to the leading African riders, coaches and team managers they told me it was more complex than that. To suggest a runner could just jump on a bike ignores the importance of tactics and technique. Van Zyl says these “aren’t acquired during your first season. [A rider] can be strong on the bike, but if [he and his team does not] have tactics, he can’t win”. So when will an African win the Tour? The least optimistic forecast, “not in my lifetime”, was from the Namibian Cycling Federation president Mannie Heymans; but the general consensus was that the continent could produce a winner within the next decade. There were those at the African Championships, like UCI president Pat McQuaid, who made the point that Chris Froome, who came second in the 2012 Tour de France, is Kenyan-born and “very proud of his African heritage”. Sky rider Froome even went to a World Championship with Kenya, but these days he represents Great Britain. What about an African with home-grown coaching and finance behind him? Grmay was the only rider I spoke to who, rather than tell me he wanted to participate or win a stage on the Tour de France, said he would aim to win it outright. And, at 21, he has got plenty of time to learn from his mistakes. In his first interview as a professional cyclist, he told me he wants to be as famous back home as his legendary Ethiopian compatriot, runner Haile Gebrselassie. Grmay’s potential has certainly been recognised. Of 500 cyclists who have passed through the World Cycling Centre’s African satellite, nobody has impressed Van Zyl as much.